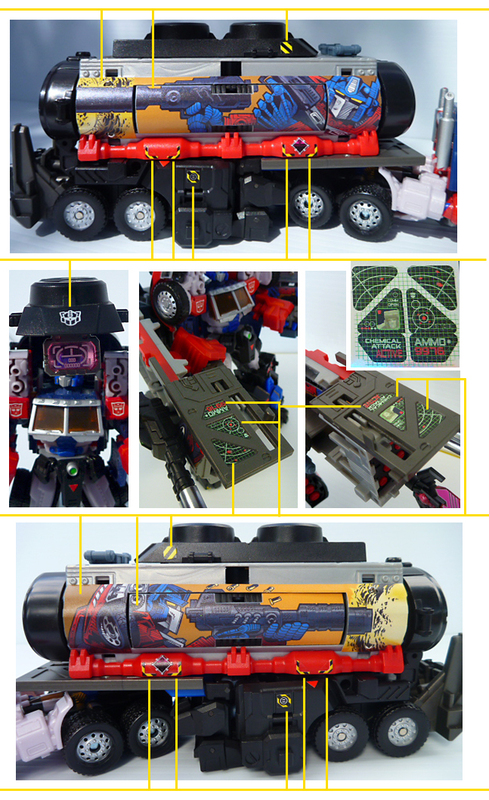 Labels for Maketoys Battle Tanker, which is intended to go with the deluxe RTS G2 Laser Optimus Prime toy. 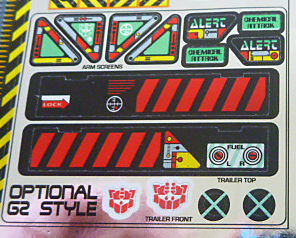 More recently, the Battle Tanker is now available with the Battle Sentinel complete set from Maketoys, and while this set will mostly work for the trailer, the robot mode labels are intended for the Hasbro cab section. 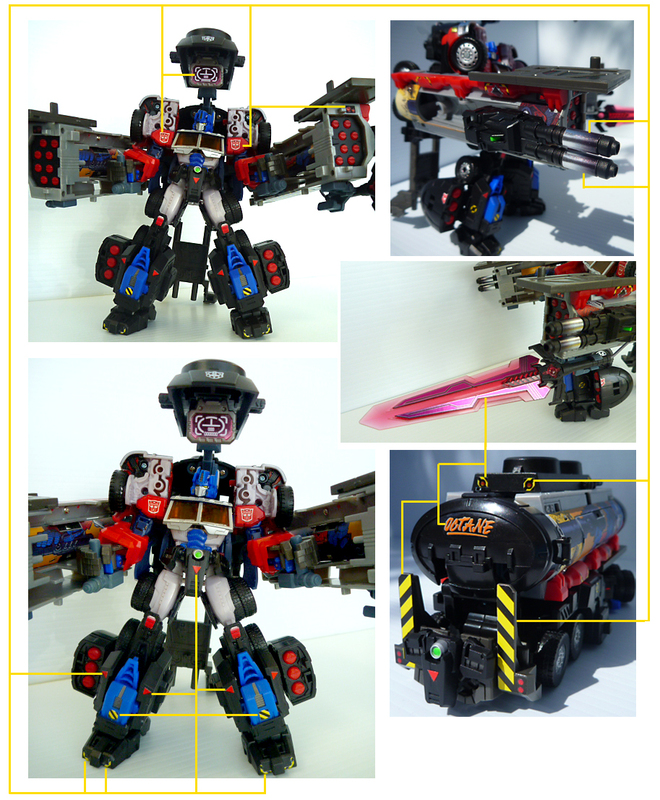 Check out Yotsuya's review here!